Young Louisville Percussionists Love Led Zeppelin — And Jimmy Page Loves Them Diane Downs teaches music to the Louisville Leopard Percussionists in Kentucky. She says she hopes the kids feel like rock stars now that a video of their Led Zeppelin medley went viral on YouTube. 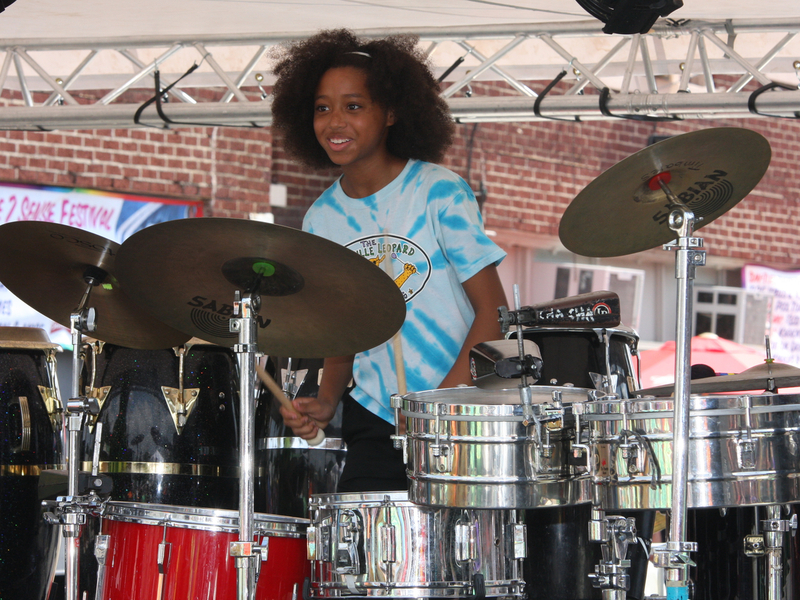 A'Marie Johnson is one of the young musicians in the Louisville Leopard Percussionists group, whose Led Zeppelin medley recently went viral. "I want them to feel like rock stars," says teacher Diane Downs. "Too good not to share," Led Zeppelin guitarist Jimmy Page wrote Feb. 20 on his Facebook page. "Have a rocking weekend!" He was referring to this YouTube video of the Louisville Leopard Percussionists, an ensemble of 7- to 12-year-olds playing a medley of Zeppelin hits. That video, originally uploaded last November, has received more than 3 million views since Page shared it. The Zeppelin medley was the brainchild of Diane Downs, a teacher who runs the Percussionists after school and on weekends. 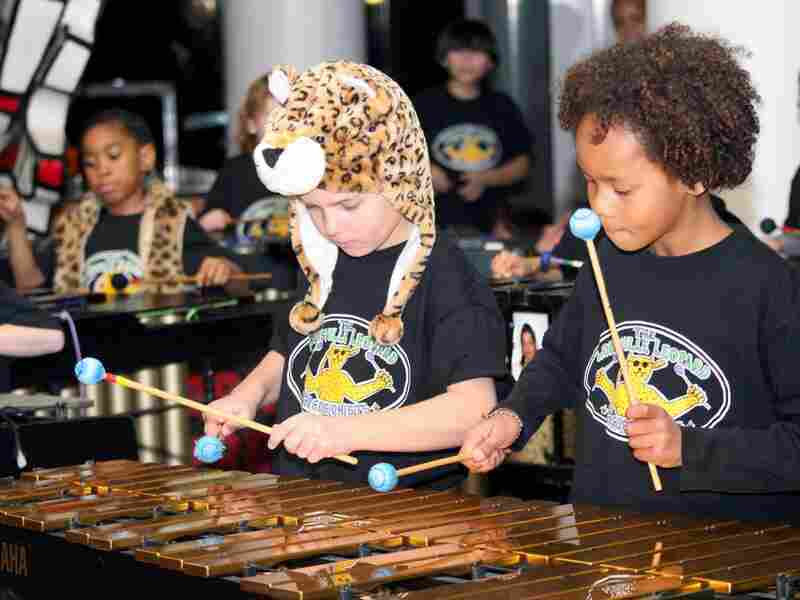 David Williams (in the leopard hat) and Jonas Gordon (at right) play their xylophones with the rest of Kentucky's Louisville Leopard Percussionists. Her young musicians play marimbas, vibes, timbales, congas, xylophones and, of course, drums. And they don't just perform rock music — they also play jazz, classical and pop. The new-found attention for the small group is "pretty cool," Downs tells NPR. "I want them to feel like rock stars. I want them to realize, 'Oh, this is why we work so hard in rehearsal.' I tell them that when you're presenting something to the public, you don't want it to be okay — you want it to be great," she says. "So hopefully they're going to carry that over into their lives once they grow up, too." Click on the audio link to hear more about the percussion ensemble.